There are 2 peak periods during the year where burglaries spike – summertime and Christmas. The dark nights plus the gifts and cash that people have in their homes over the festive season and in the run up to it make Christmas very attractive to intruders. Factor in the social occasions that take people away from the home and you can see why we can be vulnerable at this time of year. It’s not something that we really want to think about: a break in at this time of year can be particularly heart-breaking and we’re all rushing about pre-occupied with other things. That’s why we’ve put together a series of tips that should help you stay secure over this period – 31 of them in fact; 1 per day throughout the whole of December. Starting on the 1st December, we’ll be posting them every day on our Twitter feed and on our Facebook page. 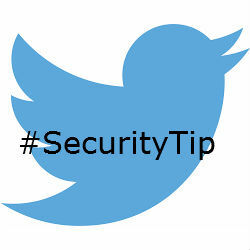 You can catch up with all tips posted so far at any time by searching on the #tag #SecurityTip. We think that, as busy as we all are, we can all digest a single tip each day. Many of them are common sense but you’d be surprised how many don’t follow basic security and we hope that these tips will just give people a little nudge to be more vigilant and keep themselves safe. A recap of the whole series will be posted on this blog on 1st January. In the meantime, please follow the tips and let us know what you think as we go through the month. If you would like more specific security advice then please don’t hesitate to give us a call on 01924 371941.